Despite the best of intentions, clutter is often an ever-present thing in our lives. A stack of newspapers, clean clothes that haven’t been folded and put away, dirty dishes that need to be washed – it piles up quickly. 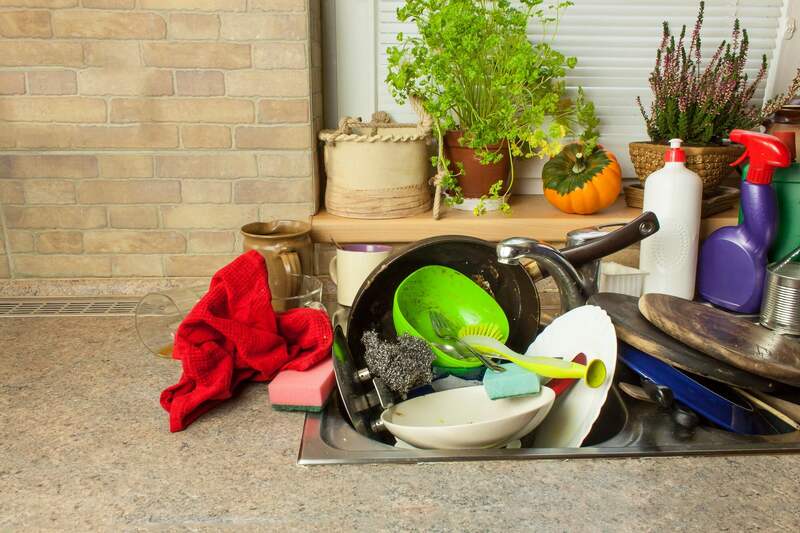 Even if you have a regular cleaning or tidying-up routine, the demands of a busy schedule can mean that it often falls through the cracks. Take small steps. If you’ve ever had a period of time where you wanted to clean your entire house, you know that it can be incredibly motivating. But it doesn’t last, and then the idea of finishing what you’ve started is a drag. Try cleaning one room at a time or organizing one category (like clothing or paperwork) at a time – it’s a smaller workload and time commitment so it’s easy to keep your motivation. Keep at it. Tidying up one room at a time is a great way to start, but stick with it! Once you’ve tidied up one room and moved on to another, don’t let clutter build up in rooms you’ve already cleaned, or you’ll just fall back into the land of too much clutter and not enough time. Tidy as you go. After all, the easiest way to get rid of clutter is to not have it in the first place. Put things away as you’re finished with them instead of setting them somewhere else where you might forget them and they could start to pile up. Hang your coat up when you get home instead of leaving it on the back of the chair to hang up later. Fold your clothes when they come out of the laundry instead of letting them sit in a basket for a few days. Get rid of it. You definitely don’t need to commit to getting rid of half your closet or other items, but the time you spend tidying up is a great time to sort through your things and figure out what you’re not using. Don’t be afraid to throw out things that are too damaged to use, or resell or donate items that you aren’t using but that someone else could. Tidying up is a chore, for sure. But if you’ve ever experienced the frustration of not being able to find something you need or not knowing where to put a new purchase, it’s easy to see how tidying up your house (and maybe getting rid of a few things) can be a great solution. And while it can seem intimidating if you’ve got a lot of clutter, it’s absolutely worth it!